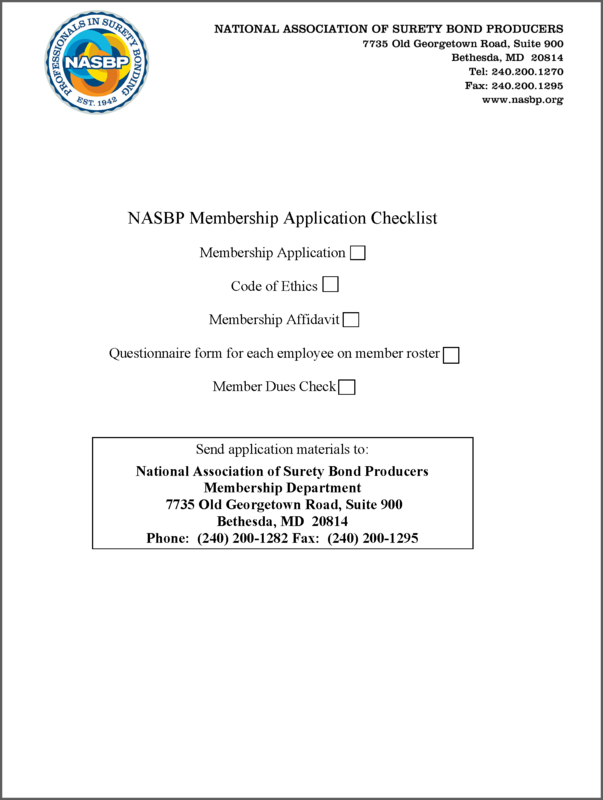 NASBP offers three membership categories: Producer Member, Affiliate, and Associate. Choose the one that fits your company. A NASBP Producer Member is a firm that regularly engages on a commission basis as agent-producer or broker of surety bonds; represents two or more surety companies that are admitted to conduct surety business in at least one state of the United States of America; affirms its commitment to the NASBP Code of Ethics; and signs the NASBP Membership Affidavit. To find out what joining NASBP as a Producer Member entails and to access the member application, click here. A NASBP Affiliate is a surety company or a reinsurance company that is admitted to conduct surety business in at least one state of the United States of America; manages general agents for surety companies admitted in at least one state of the United States of America; an agent-producer or broker of reinsurance that regularly engages on a commission basis; and signs the NASBP Membership Affidavit. To find out what joining NASBP as an Affiliate entails and to access the affiliate application, click here. A NASBP Associate is a firm that provides accounting services to regular members or affiliates or their clients; affirms its commitment to the Mission of the Association; and signs the NASBP Membership Affidavit. To find out what joining NASBP as an Associate entails and to access the associate application, click here. Thank you for your interest in NASBP. To learn more about joining NASBP, contact Dasha Harris at dharris@nasbp.org or 240-200-1282. 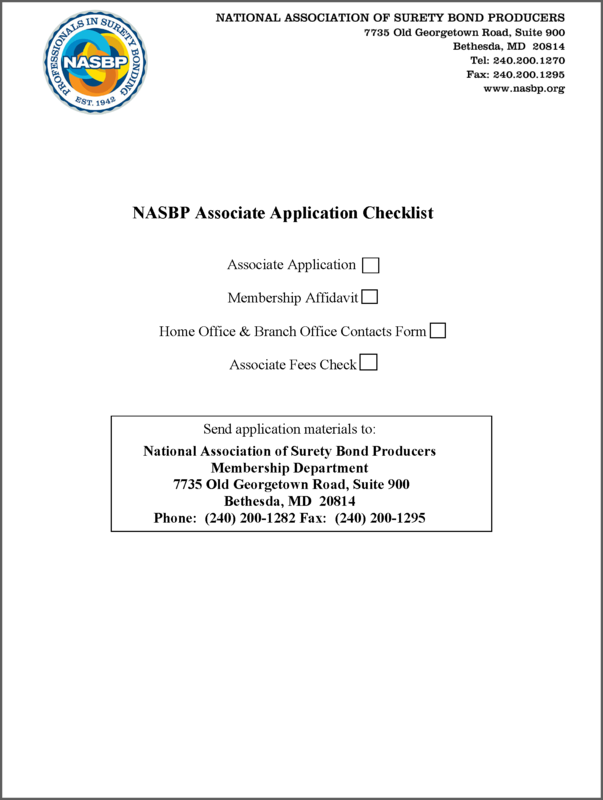 To request additional NASBP Membership information or be sent an Application Package, click here.